When you are the flagship sedan in a manufacturer’s lineup, there is a certain level that you are expected to live up to. This is the vehicle that will capture every eye it passes on the street, and is more technologically advanced than most people’s computers. This vehicle is the epitome of what all other vehicles should strive to be. 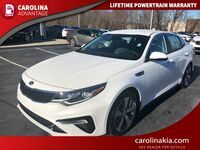 For us here at Carolina Kia, that vehicle is the 2016 Kia Optima in Kernersville NC. For 2016, Kia gave us a completely redesigned Optima. This year’s model takes everything that the previous generation vehicle did well, and added to it. 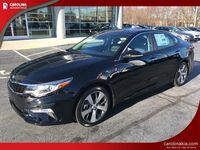 The 2016 Kia Optima in Kernersville NC is more stylish, more comfortable, and adds more technology. One of the biggest additions, however, is actually under the hood. The vehicle now has a 1.6-liter turbocharged 4-cylinder engine available with its LX trim. This engine produces 178-horsepower, and achieves 39-mpg on the highway and 28-mpg in the city! For 2016, Kia added several great driver assist technologies to the 2016 Kia Optima. Autonomous emergency braking is now available in select trims, and will actually apply the brakes for the driver in order to prevent an accident from occurring. By utilizing a sonar system located in the rear bumper, the rear parking assist on the 2016 Kia Optima will detect how far you are from a vehicle or obstacle behind you. It will alert you with an audio warning through the vehicle’s speaker system. One of the most annoying hassles for drivers is having to tap on the brakes or push the buttons on their steering wheel when cruising down the highway. Thanks to the advanced smart cruise control that will no longer be necessary, as the system will automatically adjust your speed for you! When the engineers at Kia redesigned the Optima, they actually made the interior of the vehicle larger than the previous. Now, passengers have 104.8 cubic-feet of passenger volume available to relax in. And relax they will, thanks to all of the great comfort options that the vehicle has available. Customers can choose between an 8- and 12-way adjustable driver’s seat, and a 6- or 10-way adjustable passenger seat. Leather, sport leather, and quilted Nappa leather seats are also available. 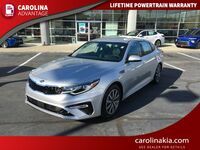 There are also several great technology options inside of the 2016 Kia Optima in Kernersville NC that drivers will be able to choose from. The UVO eServices infotainment system is available with premium navigation. A Harman/Kardon sound system is also available for high-def listening. Dual-zone automatic temperature control, push button start, and an auto dimming mirror are also available. 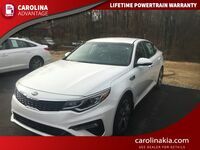 Anyone interested in learning more about the 2016 Kia Optima in Kernersville NC should contact a Carolina Kia sales team member today. 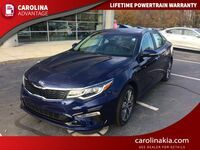 Interested in a 2016 Kia Optima?